Are you new to camping? Growing your family? Looking for a few extra features? 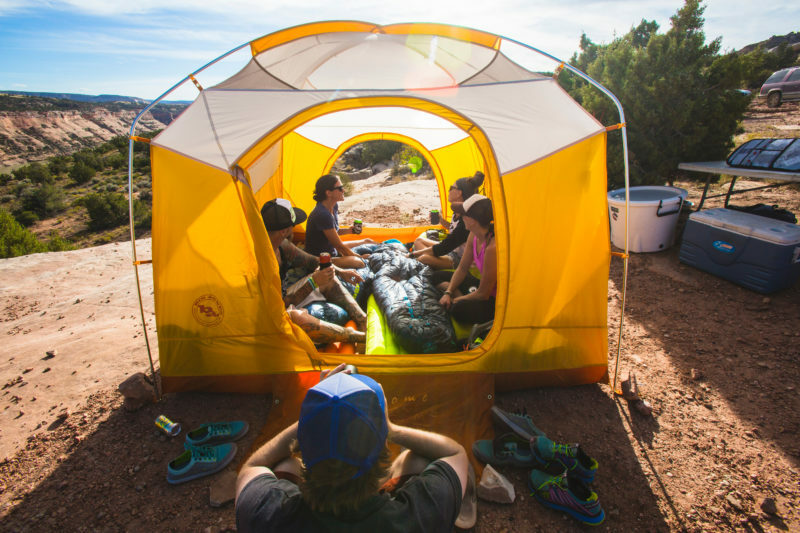 We searched high and low to round up the best reviewed tents out there for a range of camping styles. Get excited to hit the campground—there’s something for every family size and for every price range on this list. 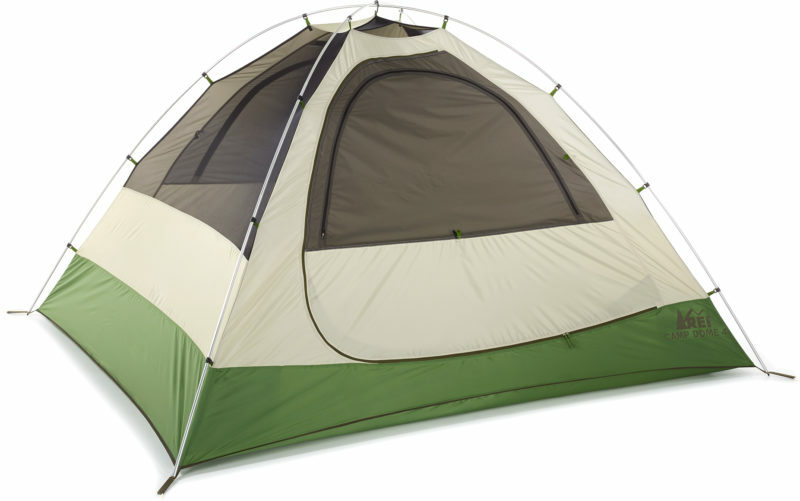 For small families who don’t mind getting cozy, the affordable REI Camp Dome 4 is a great value. Though not as spacious as other tents out there, it’s still plenty roomy for two adults and a couple of kids or even two adults using cots. It features double doors (essential), holds its own in bad weather, and goes up in no time. 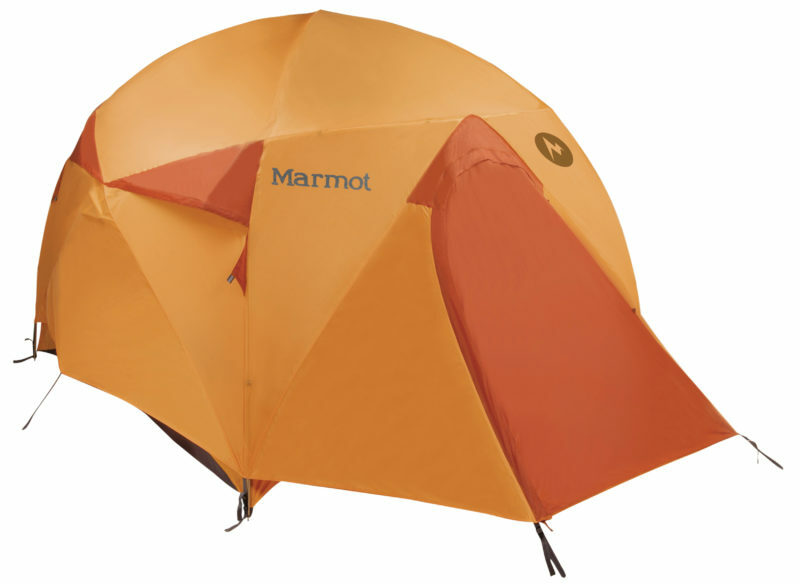 If you’re not planning on spending all your time in the tent, this one is for you. This spacious tent really is a camping palace. With two big wide doors and a ceiling high enough to stand up in (even if you’re 6 feet tall), you’ll always have room to spare in the Kingdom 8. Inside you have a zippered partition to divide the tent into two “rooms” if kids and parents each want their own space. But despite the big size, set up is a breeze and can even be managed by just one person. 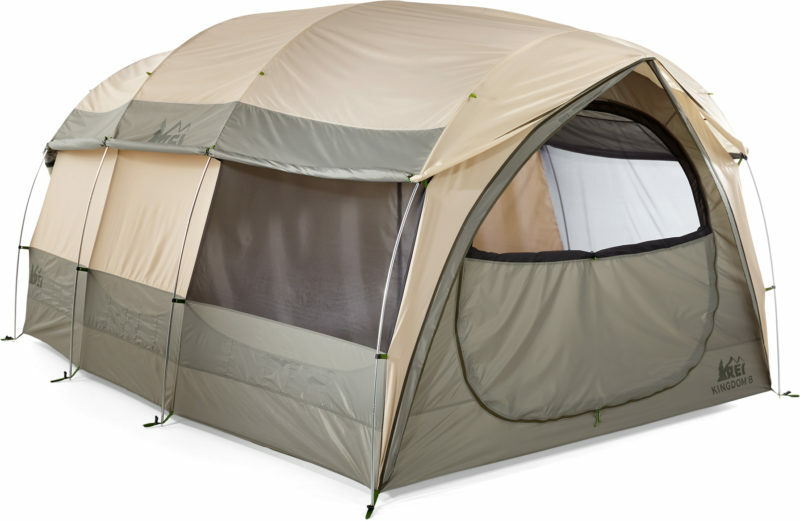 At over $500, this tent is a bit pricey, but for the quality and size, big families can’t go wrong. Whether you’re planning a camping weekend with your extended family or a festival weekend with all your pals from college, you won’t have to worry about waking up with feet in your face if you take along the Core 12-Person Instant Cabin. Spacious enough to fit three queen-size air mattresses (if roughing it isn’t your style), the big roomy cabin can be divided into three rooms. 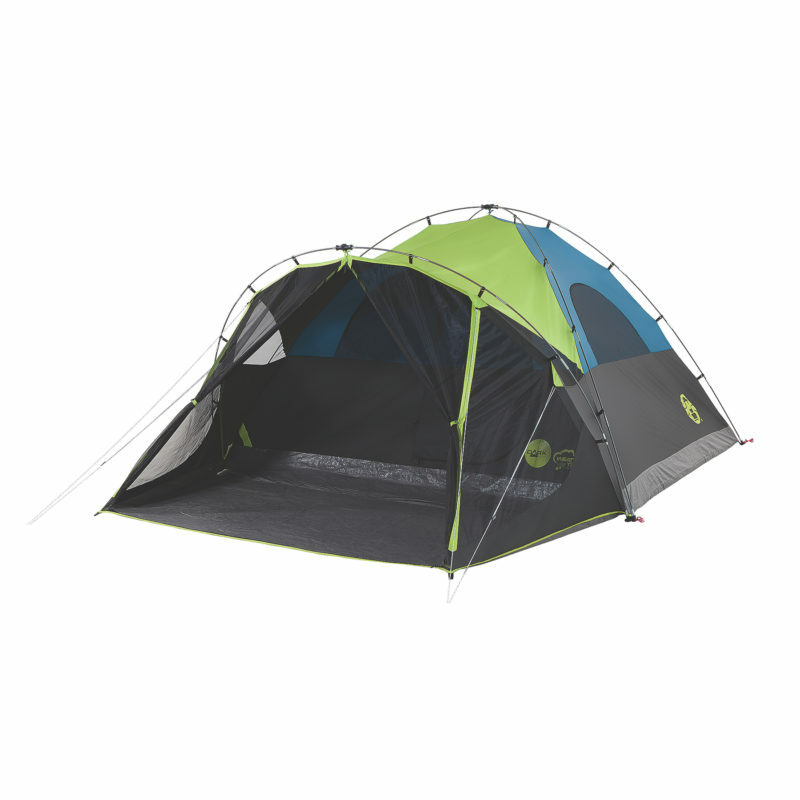 Rain-ready and easy to set up, this tent is $300 well spent. 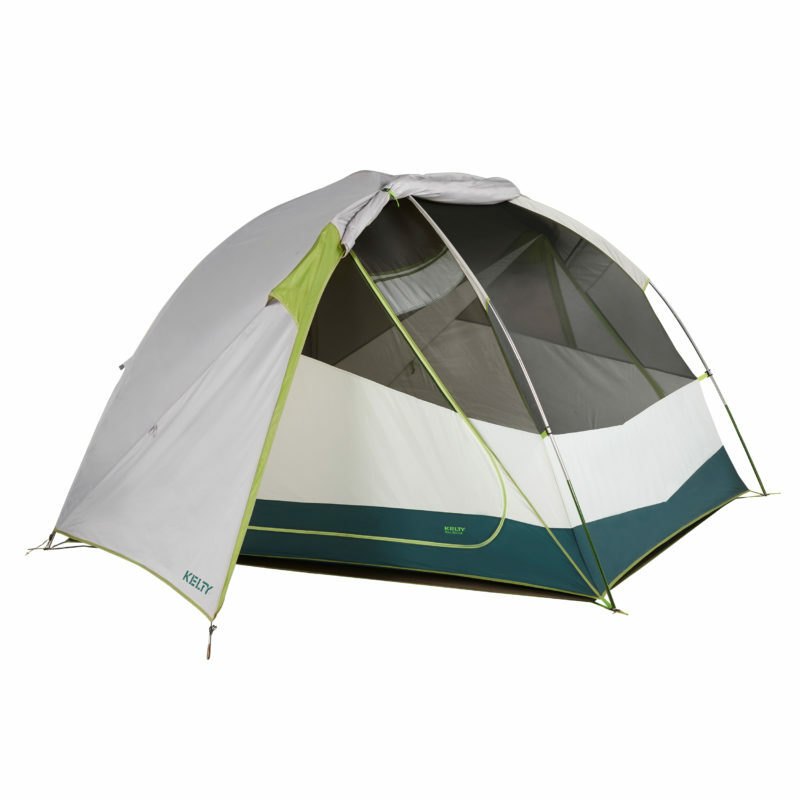 This roomy dome-shaped tent has plenty of space for a dog crate or bed inside. Or, if you prefer not to get so cozy with Fido, there’s a comfortable spot for him out of the weather underneath the spacious vestibule. With enough space for a 6-foot person to stand up inside, you’ll never feel cramped in the Halo. If you’re really watching your budget, the Coleman Sundome is a true bargain—it has almost 1,500 five-star reviews on Amazon. 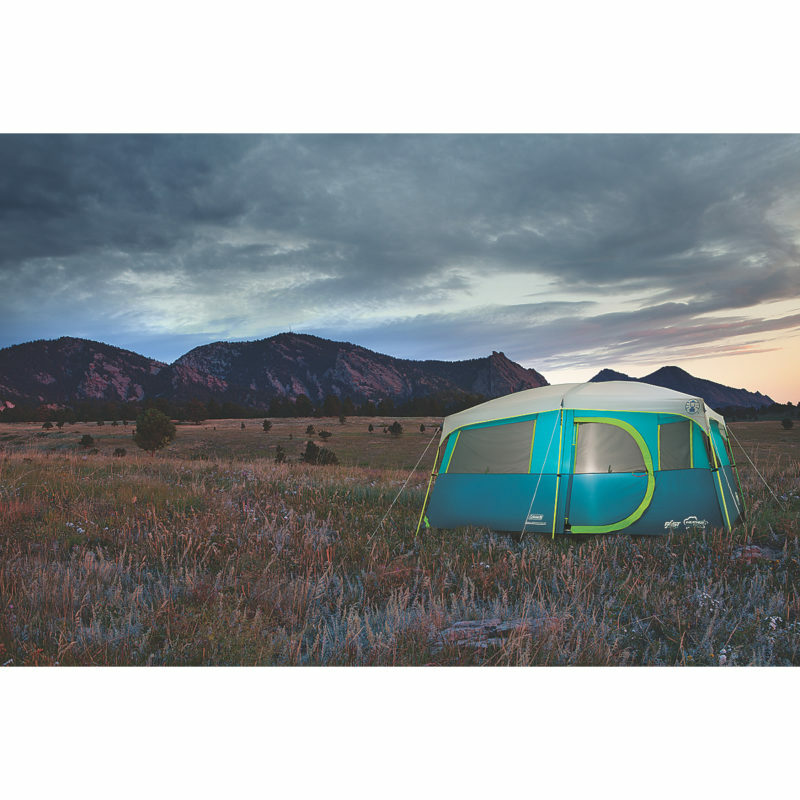 Though you won’t get all the features of some of the other tents on this list, the Sundome is a good little basic tent for families who camp infrequently or aren’t ready to go all-in on camping equipment just yet. Set up takes just 10 minutes and the tarp-like floor and rainfly keep weather out. A true car-camping tent, the Big Agnes Big House is the McMansion of the campground. 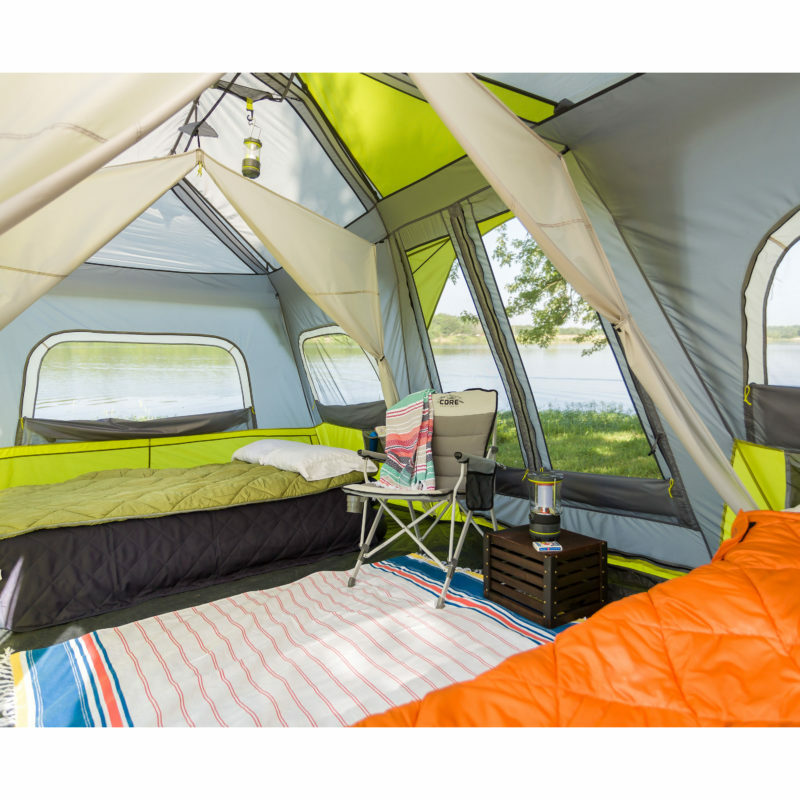 Complete with a cute little welcome mat, it’s got everything you’d need for an extended campground stay—lots of interior storage pockets, superior rain protection, good ventilation, and plenty of room to stand and stretch. Add on a vestibule (sold separately) for even more room to sprawl. If a clear view of the night sky from your sleeping bag is one of the main reasons you go camping, we feel you. The easily detachable stargazing fly on the Kelty Trail Ridge means you can have an unobstructed view of the stars on clear, warm nights. If rain rolls in during the night, simply reach out the doors to pull down and buckle the fly. This tent comes with a footprint too, so you won’t ever wake up to a wet tent floor. Larger sizes are also available. Want to sit out at the campsite without getting eaten alive by mosquitoes? The Carlsbad Fast Pitch features a screen porch with room to set up a couple camp chairs. Take a rest mid-afternoon or the enjoy the serenity of the nighttime woods behind the comfort of fine, durable mesh. We also like the “dark room” fabric that blocks UVs and keeps the tent cool and dim during hot afternoons and bright mornings. 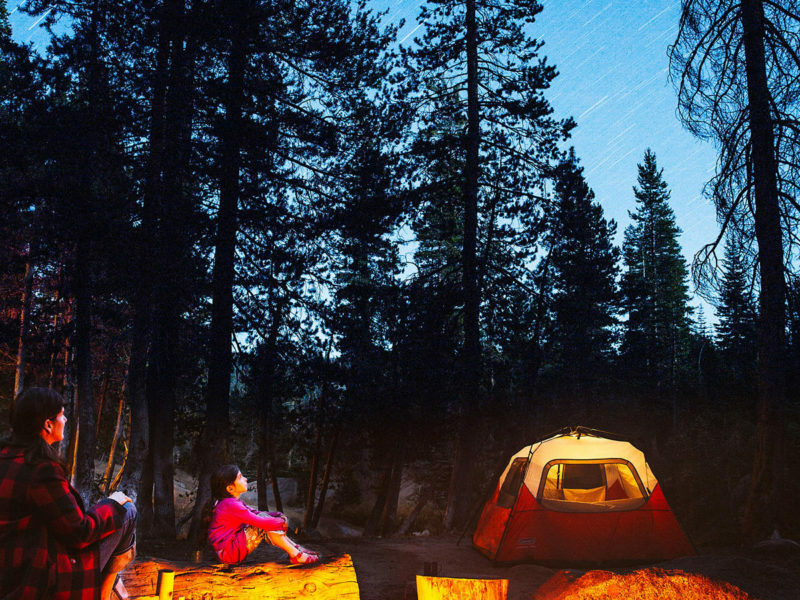 Turn off your headlamps—this tent has its own built-in battery-powered lights. Whether you like to stay up late playing cards, get stuck in the tent on a rainy day, or need a guiding light on the way back from the bathroom at night, the Lighted Cabin is definitely convenient. Oh, and you can’t go wrong with the easy set-up, roomy interior, and weather-ready exterior, either. 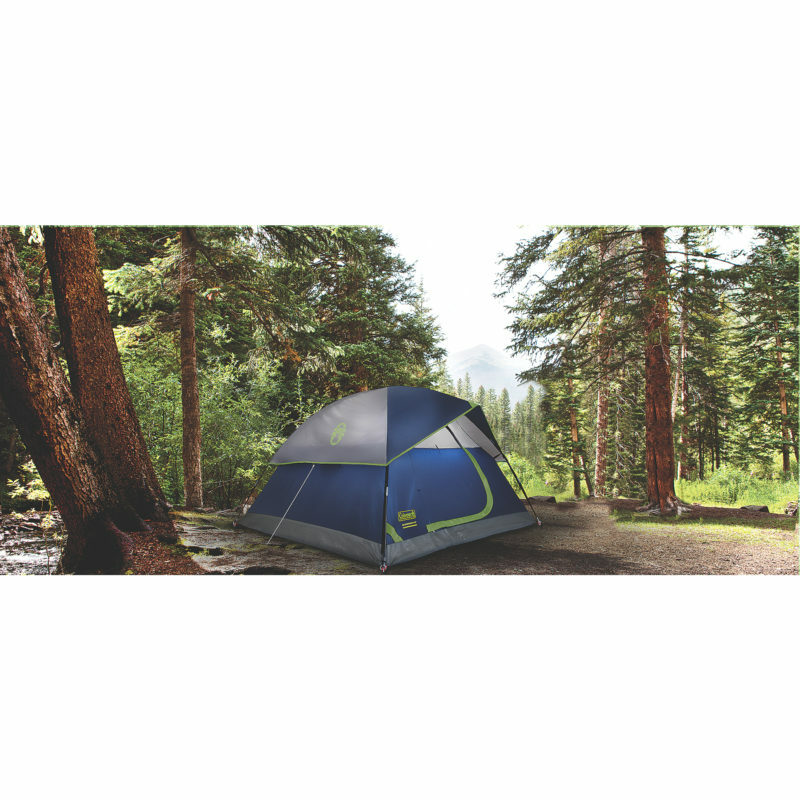 Is pitching the tent your least favorite part of the whole camping trip? Do you usually end up squabbling with your partner about which pole goes where? 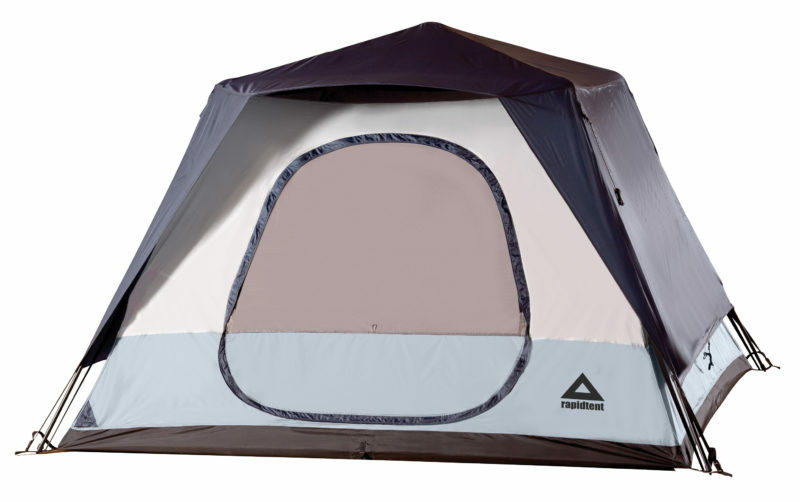 This is the tent you need. The Caddis Rapid 6 really lives up to its name—you’ll have it built in no time. If you arrive at the campsite at after dark, you’ll be thankful for the fumble-free setup.